Jackie started her ballet training at the age of 7 in Central NY where she was born and raised. After advancing through the R.A.D. Method under the directon of Delia Foley, she studied on scholarships at various schools including Chicago City Ballet, The Bolshoi in Vail, CO, The New York City Ballet at NYSSA and BalletMet, training under such notable professional master teachers as Homer Hans Bryant, David Howard, Maria and Marjorie Tallchief, Allegra Kent, John White, Raymond Lukens and Franco De Vita. From 1993-1997, Jackie danced under contract with The Pennsylvania Academy of Ballet Society and soon thereafter made her debut as a choreographer and Ballet Mistress for PABS. Jackie is certified by John White of PABS to teach The Vaganova Method. She has taught in NY, NH, VT and PA. With over 250 original pieces, Jackie continues to choreograph and create original ballets for WRBA. In the summer of 2009, Jackie joined ranks with some of the world’s most recognized and educated classical ballet instructors and earned her certification as an ABT Certified Teacher. Jackie has successfully completed the American Ballet Theatre Teacher Training Intensive in Primary through Level 7 of the ABT National Training Curriculum. Jackie brings to the Upper Valley the opportunity to provide dance students with a rich knowledge of classical ballet technique and the ability to adapt to all styles and techniques of dance. Ruth Mayer is a former soloist with the American Ballet Theatre, dancing with the company from 1969-84. She spent years freelancing as a dancer, teacher and choreographer in the U.S. and Europe before settling in the Upper Valley. Ruth began teaching at the Centre de Danse International in Cannes at the invitation of Rosella Hightower. From 1994-2005, Ruth was on the teaching staff of the Lebanon Ballet School and served as Artistic Director of their student ballet company, City Center Ballet of Lebanon. 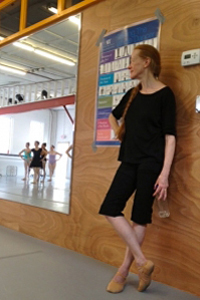 Since 1999, Ruth has performed locally with Revels North and the Dartmouth Dance Ensemble. She was on the staff of the Hopkins Center Dance Program in 2000-01, and 2007-08. Ruth is an ABT Certified Teacher, who has successfully completed the American Ballet Theatre Teacher Training Intensive in Primary through Level 7 of the ABT National Training Curriculum. 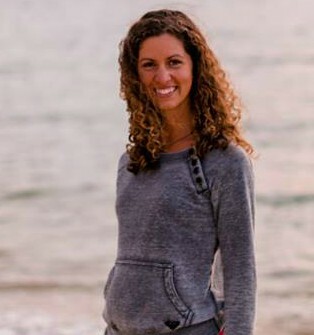 Sarah has an extensive resume ranging from training at The School of American Ballet to receiving a Bachelor of Arts degree from Columbia University and a Master’sDegree in Arts in Education at the Harvard Graduate School of Education. She has served as Marketing Director for the New York International Ballet Competition and as Development and Membership Associate for American Ballet Theatre. Most recently, Sarah served as Managing Director of the Dance Exchange in Washington, DC. She now lives in New London, NH and is thrilled to be working with the wonderful students and teachers of WRBA.